To most bypassers it seemed like an ordinary billboard. But when someone near the screen lighted a cigarette, the billboard came to life and the model featured in the billboard started to cough heavily. To remind the smoker about the health risks of smoking. 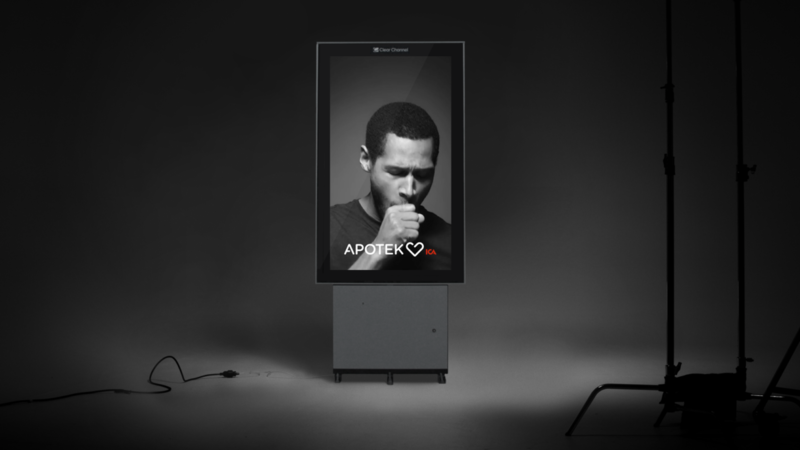 Apotek Hjärtat, one of Sweden’s largest pharmacies wanted to put the topic of the dangers of smoking on the agenda in order to lift their range of nicotine products. The global spread of the campaign was mind-blowing. It put the topic of the dangers of smoking on the mapagain, and highlighted that smoking is as much a nuisance to others as it is a health risk to the smokers.